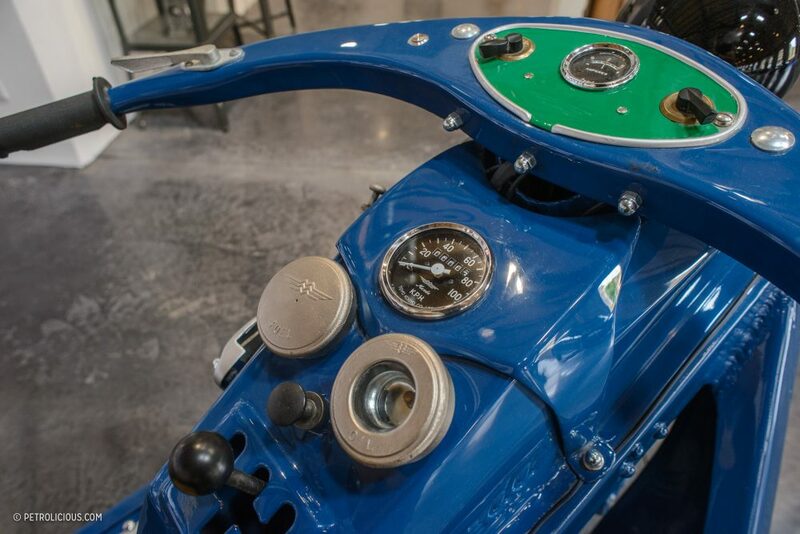 Even though there hasn’t been a rotary-engined car in the Mazda model lineup since 2012, Felix Wankel’s invention undoubtedly played a significant role in the company’s popularity and survival. 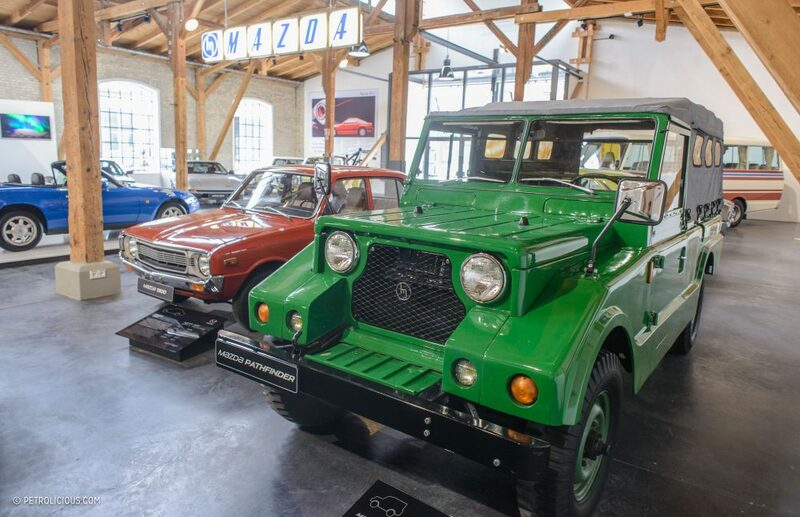 The opening of the Mazda Classic Automobile Museum Frey in Augsburg marks the location as the only Mazda museum apart from Hiroshima. 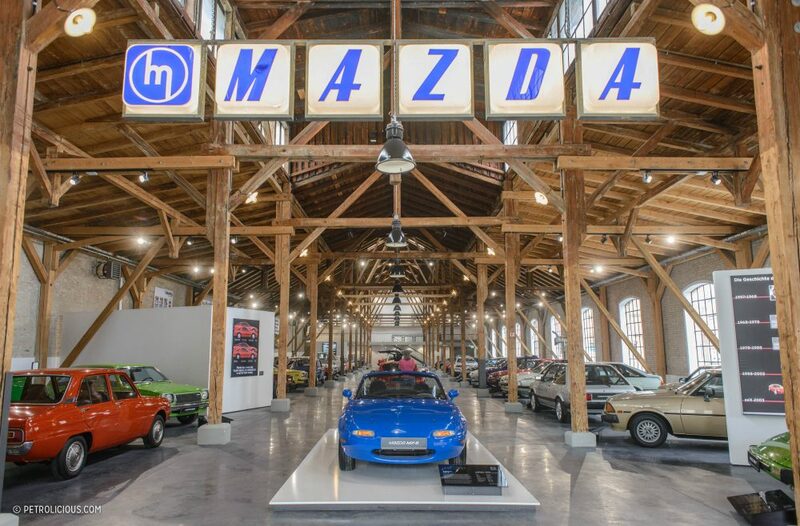 A visit here was the perfect opportunity to celebrate the 50th birthday of Mazda rotaries, and to take a brief look into the Japanese manufacturer’s history. 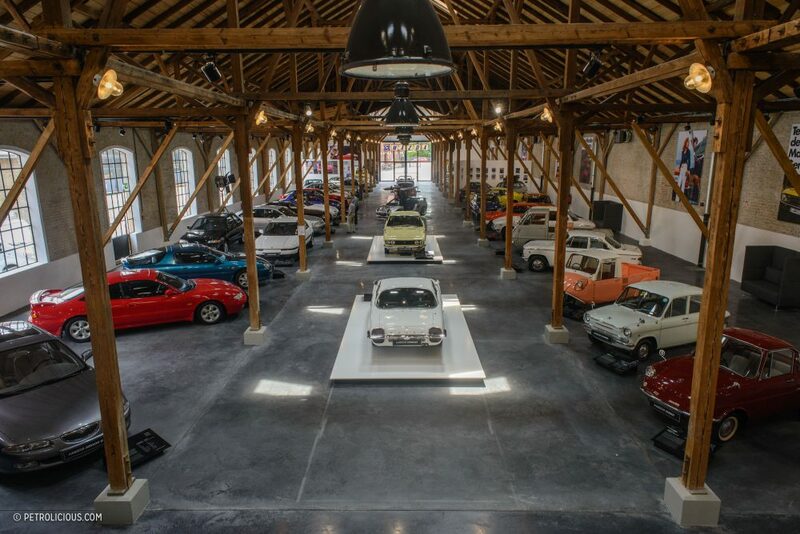 The Frey family’s collection exhibits the brand’s history in chronological order in the beautifully renewed historic tram depot in the German city of Augsburg; though constructed for other reasons initially, being in here since the renovation it seems that this was a place meant to be a car museum. 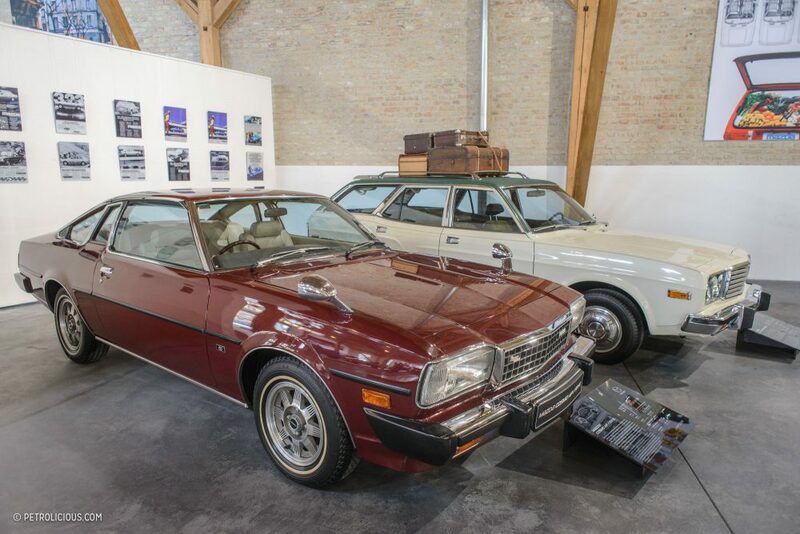 The Frey family runs three showrooms across Germany, and they started selling Mazdas all the way back in the 1970s. Infected by the brand, the father and his two sons started to collect everything on wheels related to Mazda. 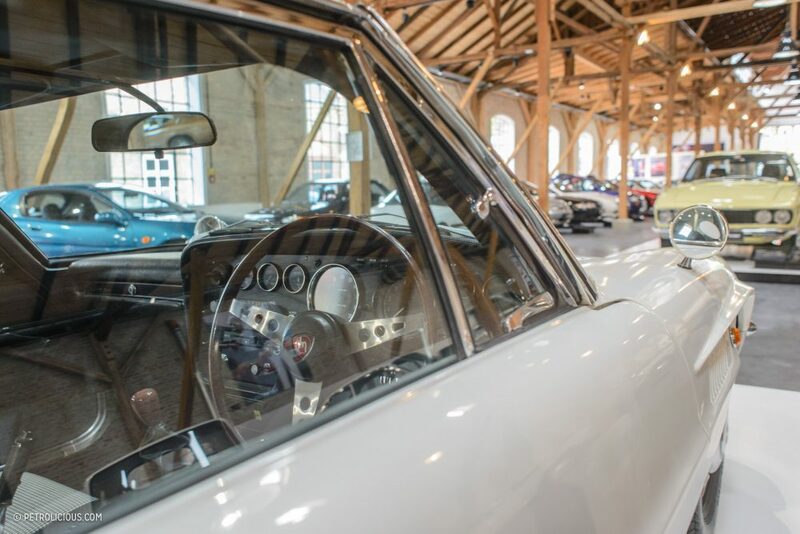 Their collection consists of roughly 120 items, from collectable youngtimers like the MX-5 NB Coupé, to the rare classics like the Cosmo. 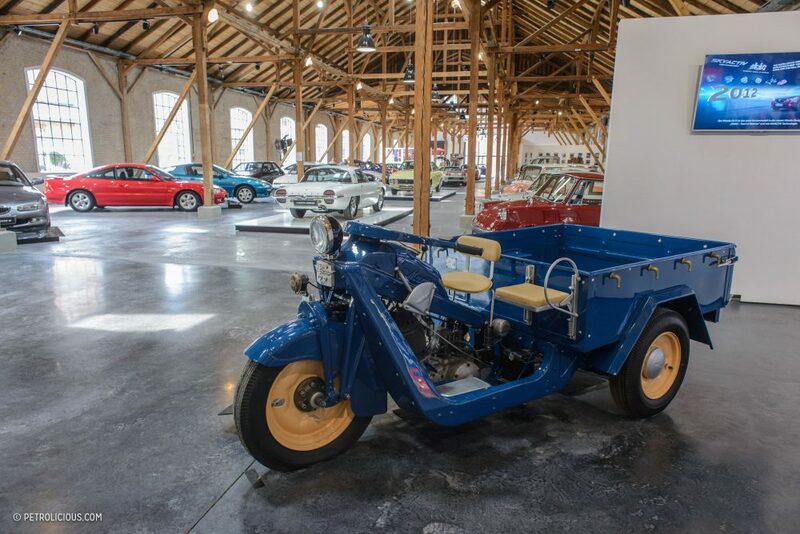 The Frey’s Mazda Classic exhibition starts with a second-generation three-wheeler, a typical work mule in rural Japan from the ’30s. 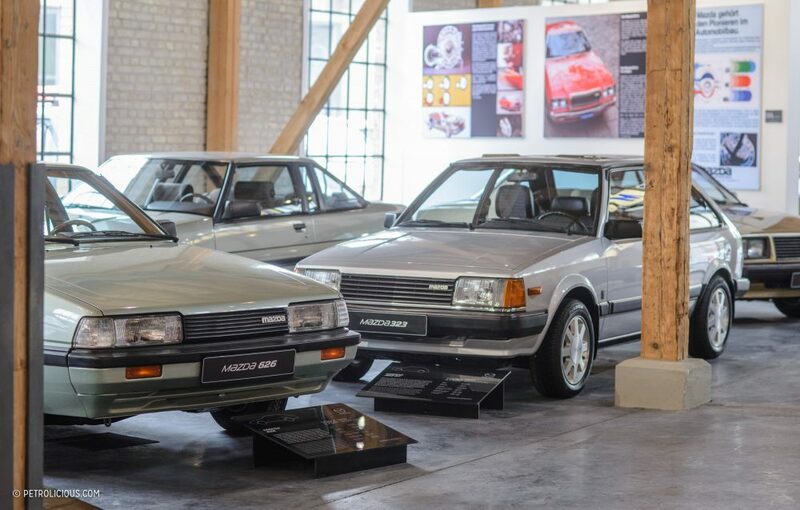 Production of little transporters like these was a traditional way for a Japanese companies to get into automobile manufacturing. 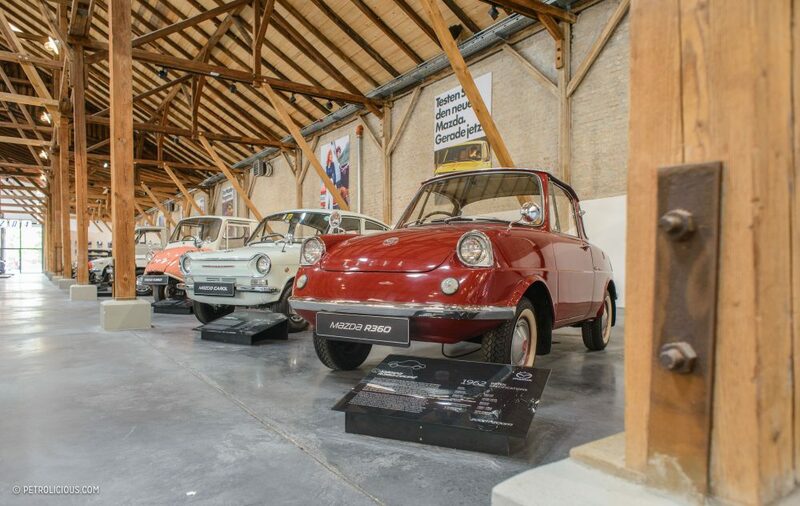 The first Mazda automobile’s story is similar to the European microcars’. 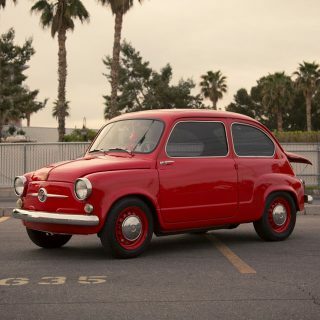 After WWII, those miniature cars gave the opportunity to many people to start traveling again. 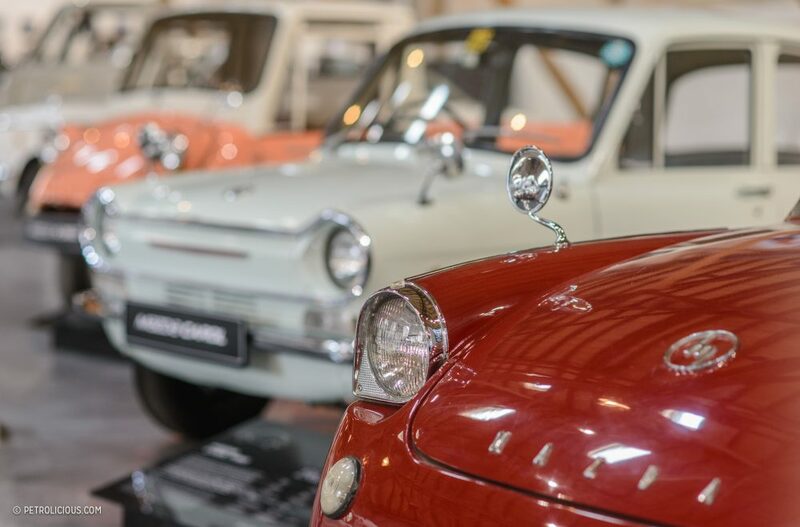 In Japan they were called “kei” cars, and would be tax-exempt if they could manage to stay within the limits defined by the government: 3 meters long, 1.3 meters wide, and powered by a 360cc engine (this was in 1955, the engine capacities were gradually increased over time). Mazda was a contender in this market when, in 1960, the two-door, four-seat R360 Coupé and in 1962 the P360 Carol arrived. After only a short time, the Carol took control on the Kei car market with a commanding share of around 65%. Most manufacturers developed two-stroke engines, but Mazda came up with one of the world’s smallest four-cylinder four-stroke engines. 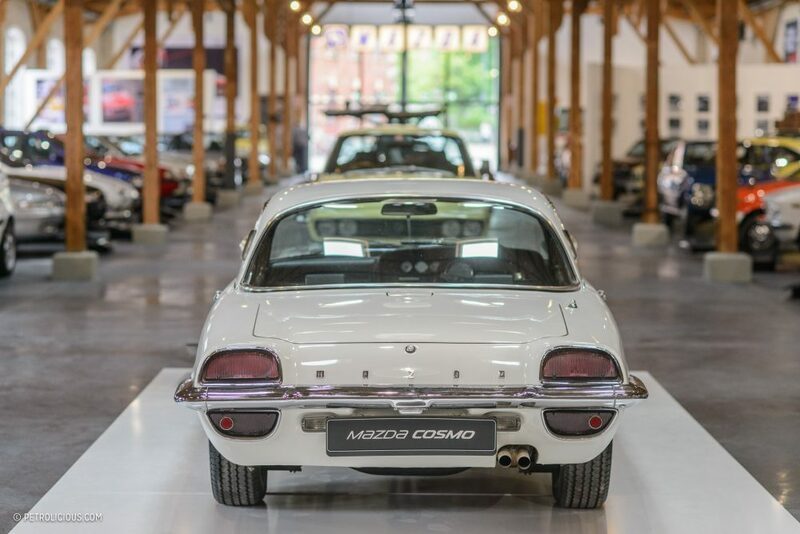 Skipping ahead a few years, the 30th of May 1967 marks the date when the full production of the Cosmo Sport, the first rotary-engined Mazda, began. 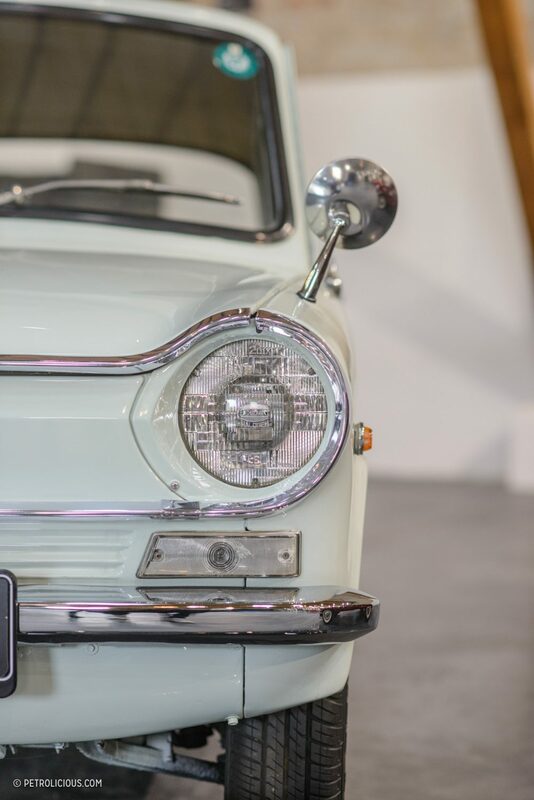 Tsuneji Matsuda was the man who saw the potential in the Wankel engine and bought the license from the German manufacturer, NSU in 1961. 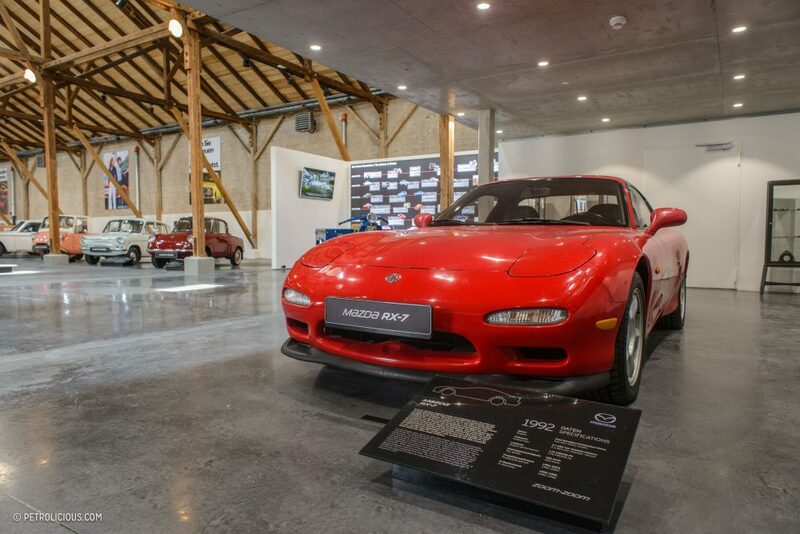 Matsuda—the company’s founder’s adopted son—chose the way and set the path for Mazda to become a brand with a portfolio of unique models. The rotary engine, which was overall sort of a disaster for NSU, became a benchmark-setting product for Mazda. 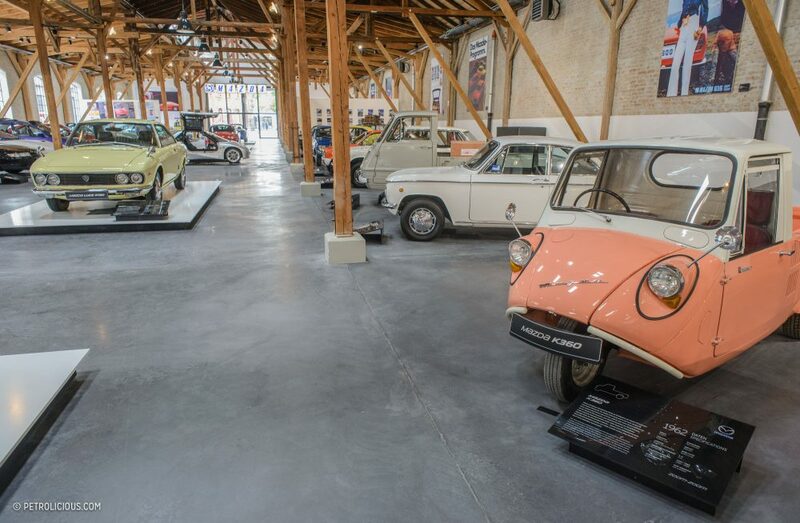 In 1963 the Rotary Engine Development Center was founded, and the Japanese engineers understood and solved the sealing failures that often plagued the NSU engines. 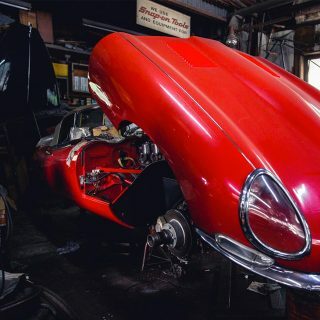 In that same year, they presented the “L8A,” a two-disc rotary engine, which was able to run for 300 hours at high revolution speeds without failure. 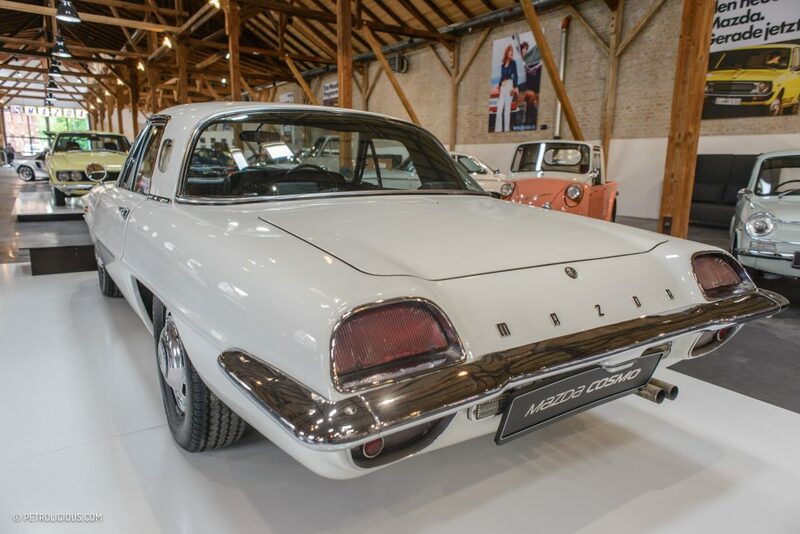 Getting back to the timeline, the Mazda Cosmo Sport (or 110S as the export models were called) had already introduced in 1964, but the full production began only three years later, after a long period of testing with the first batch of cars. The word “Cosmo” reflects to era’s Space Race between the Cold War rivals, and it also alludes to the highly advanced technology applied when constructing the model. 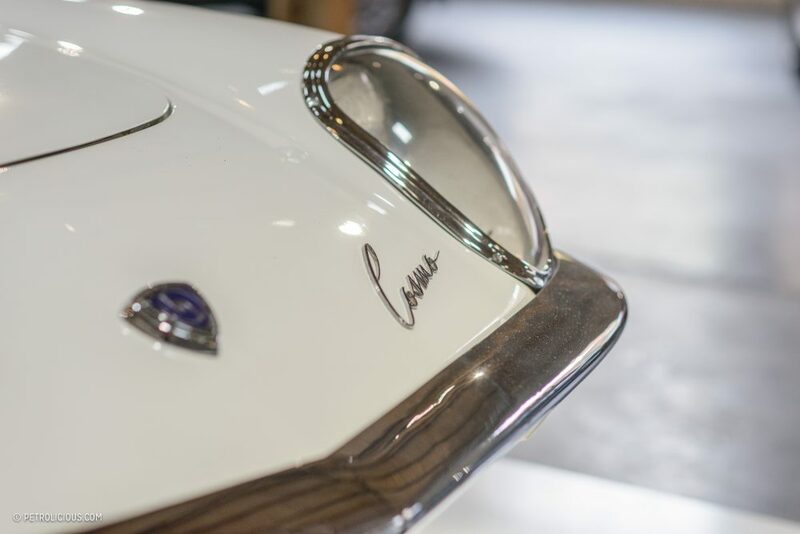 The first generation Cosmos received the 982cc two-rotor engine with an output of 110 horsepower, which was later increased to 128 hp in the second generation. 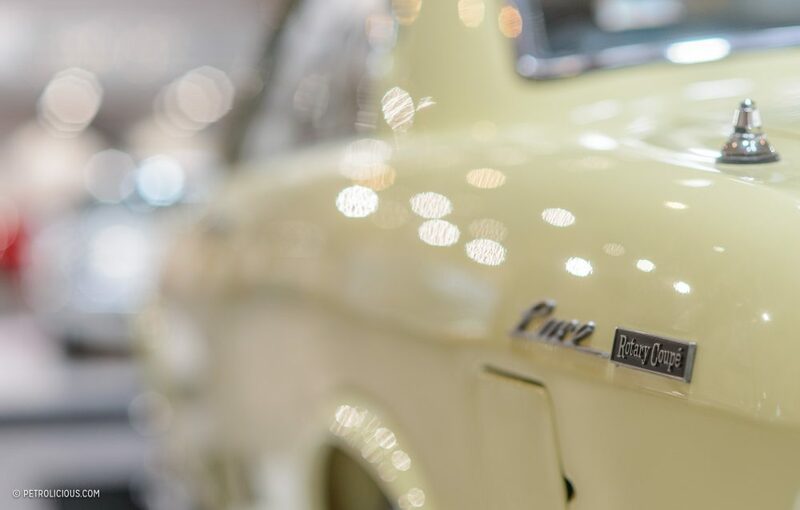 The Cosmo Sport was hand-built at the Hiroshima plant, with a rate of around one car per day. 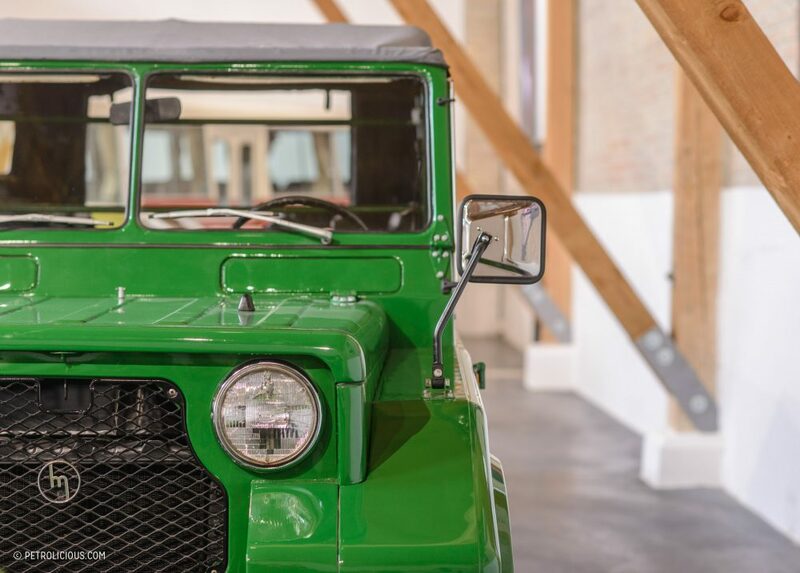 Production ceased in 1972, and in this short period only 1,519 Cosmos rolled out of the factory, which makes the model extremely collectable. 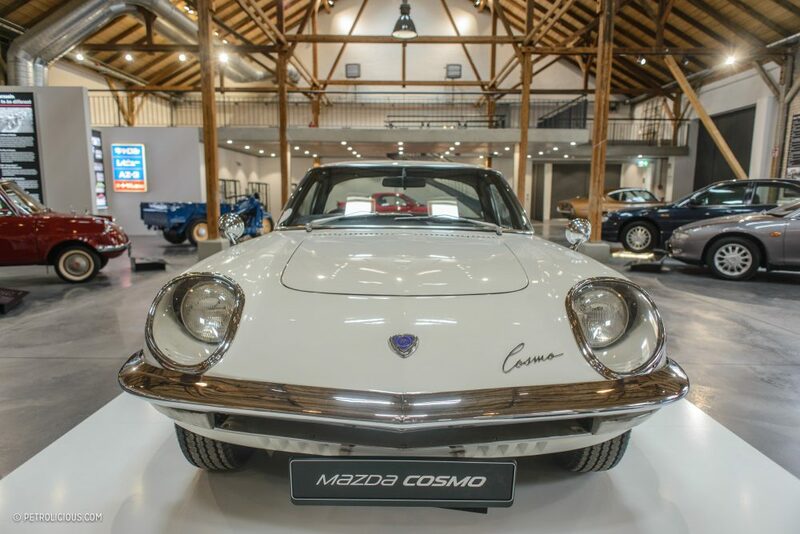 Nothing can call into question why a Cosmo stands on the predominant place among the 50 other cars exhibited in the Mazda Classic Museum. Next to the Cosmo the visitors meet the graceful shape of the Bertone-designed Mazda Luce R130 Coupé. 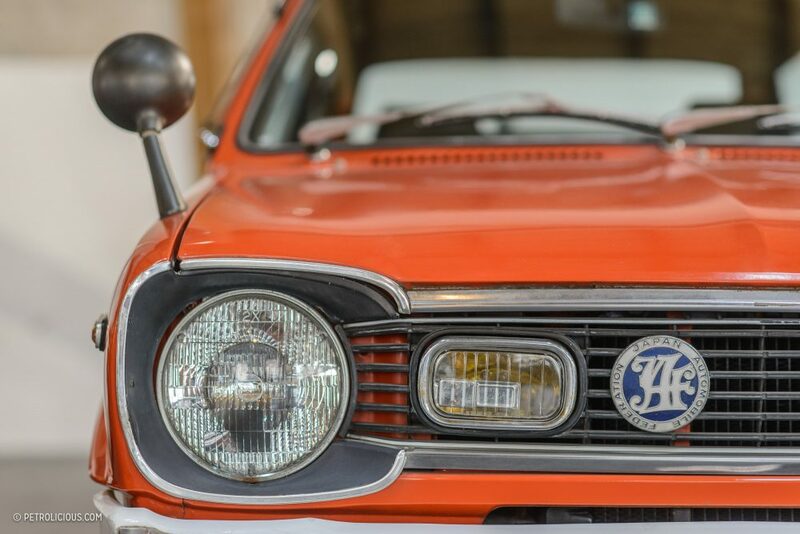 The rotary-powered Luce (“Luce” meaning “light”) appeared in 1969 and was the only front-wheel drive rotary in the brand’s history. During the three years of production, less than one thousand R130s were made. The first lower-priced rotary Mazda debuted a year earlier, in 1968. 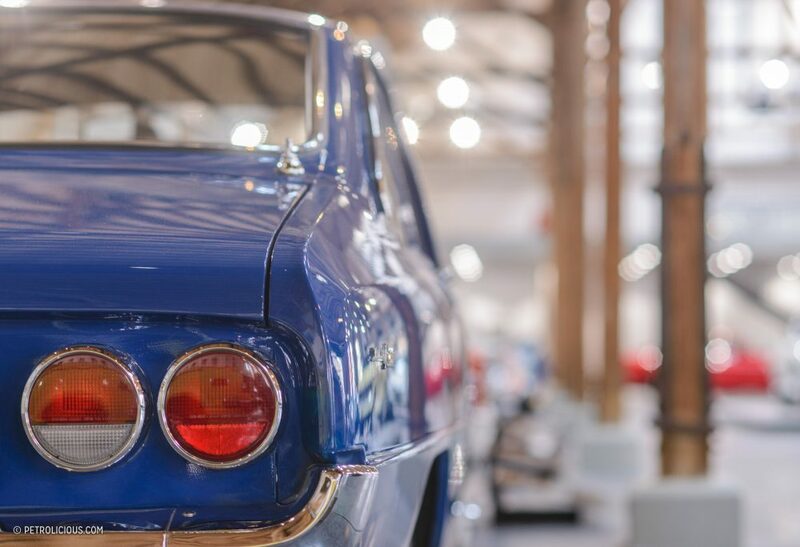 It was the Familia Rotary model, in both four-door sedan and two-door coupé variants, the later sold outside Japan as the R100, and made the car sort of the ambassador of Mazda rotaries in the export market. 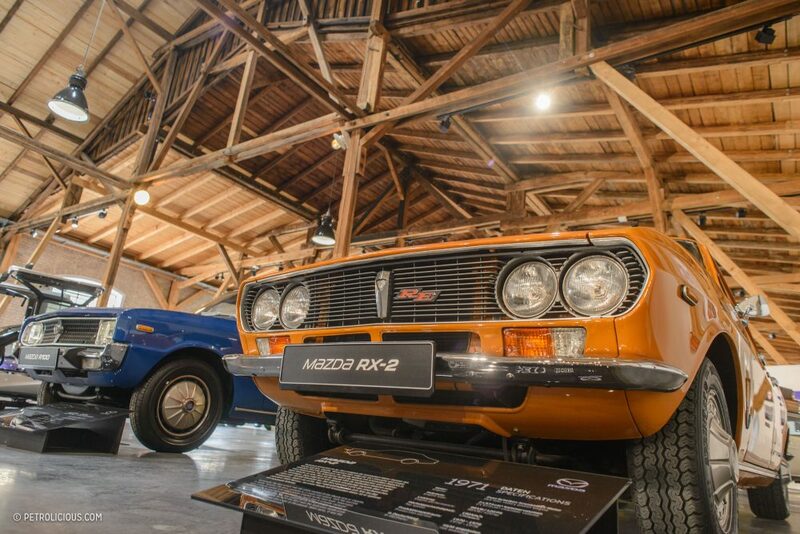 Its two-disc 982cc engine (same as the Cosmo’s, with a single carburetor) put out around one hundred horsepower, which meant more performance and less road tax for Japanese buyers compared to a Mazda Familia with a traditional inline-four. 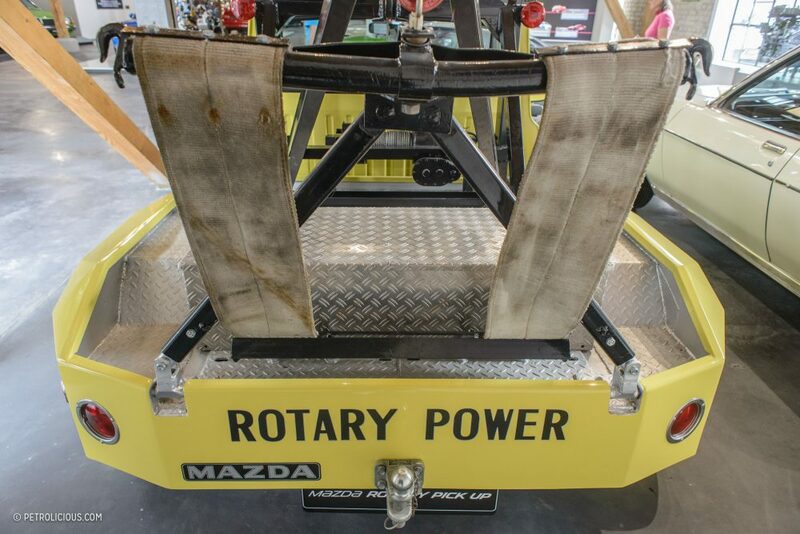 The rotary engine was a hit, and in 1971 the 200,000th Mazda rotary left Hiroshima and every second Mazda sold was powered by a Wankel-engine. 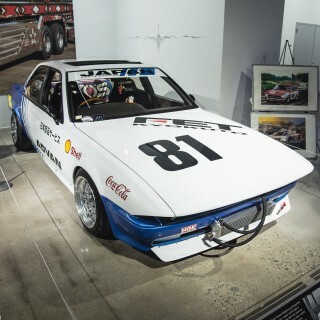 Mazda then entered the US-market in 1970 (they had been present in Europe since 1967), which was the next big step in the expansion of the rotary “revolution.” The RX-2 (also called 616 with its 1.6-liter inline engine) produced 120 horsepower and was offered for the first time with the unique warranty of 2 years/40,000 kilometers. 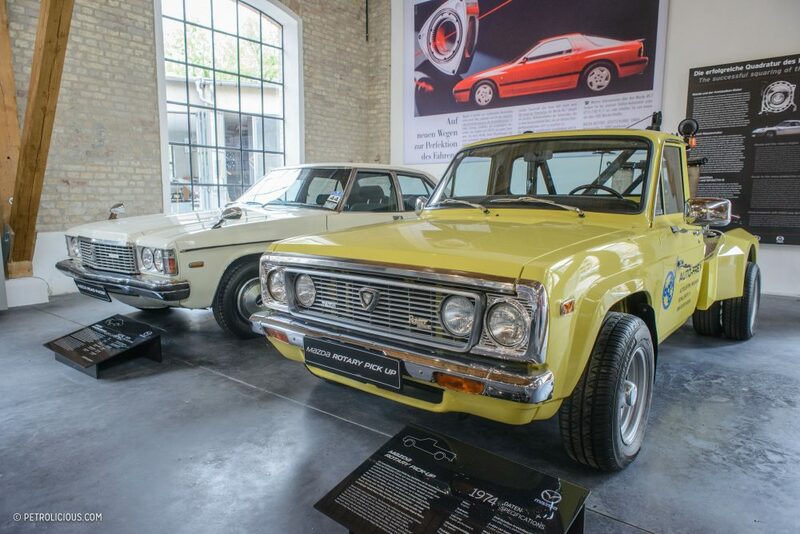 Sales continued to grow, and in 1971 the smaller and sportier RX-3 arrived. The North American models came with the same engine as the RX-2, and for all other markets the model received the R100’s engine. The light and agile RX-2 and RX-3 models were big success also on the racetracks, especially in the SCCA and IMSA series. 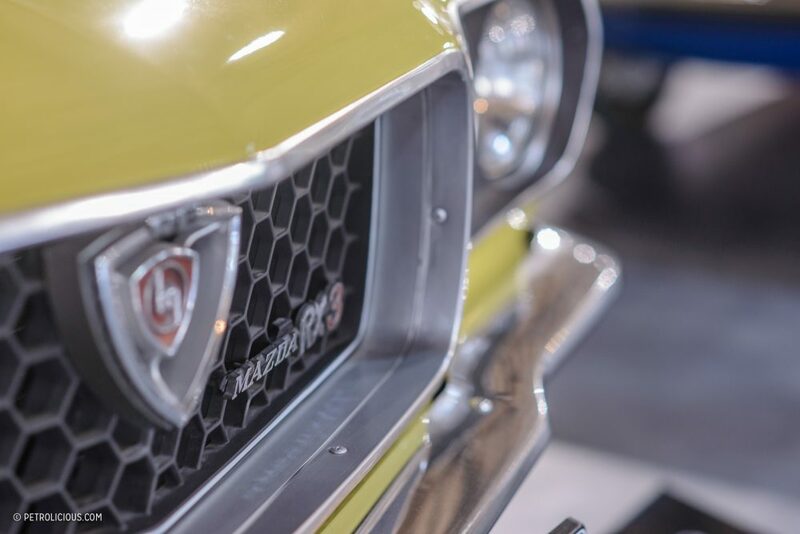 The RX-3 was the most successful Mazda before 1978, and more than 50% of the RX-3s sold were coupés, a sales figure which highly influenced the design of its successor, the RX-7, the most widely-loved rotary. 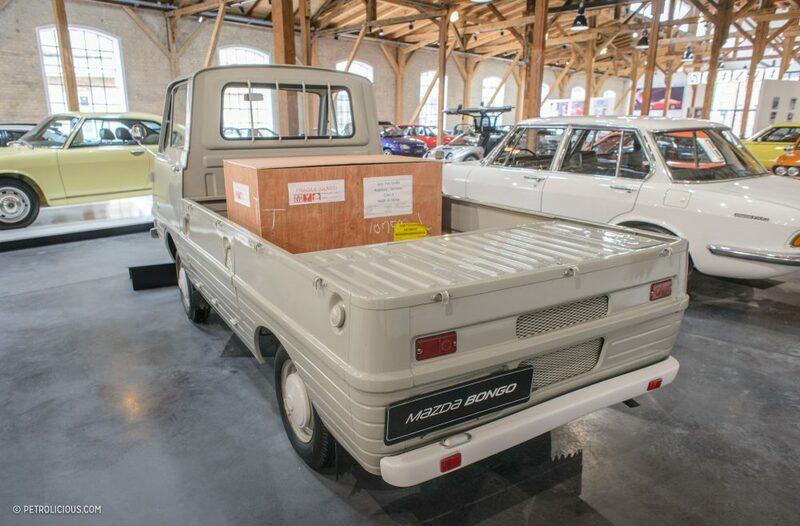 The Rotary Pickup (REPU) was a US-and Canadian-market special, and the world’s only rotary-powered pickup truck, sold between 1974 and 1977. 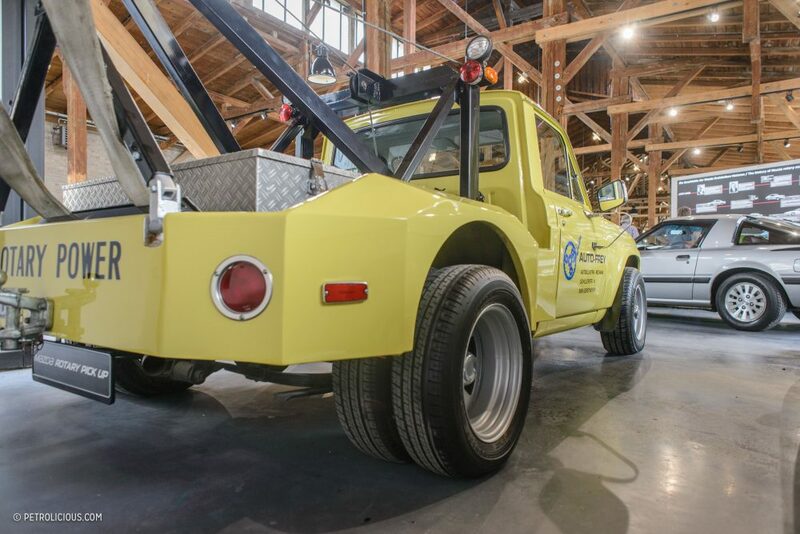 Among the 16,272 examples made, there were 600 REPU tow-trucks, and one of them found a way to Augsburg! 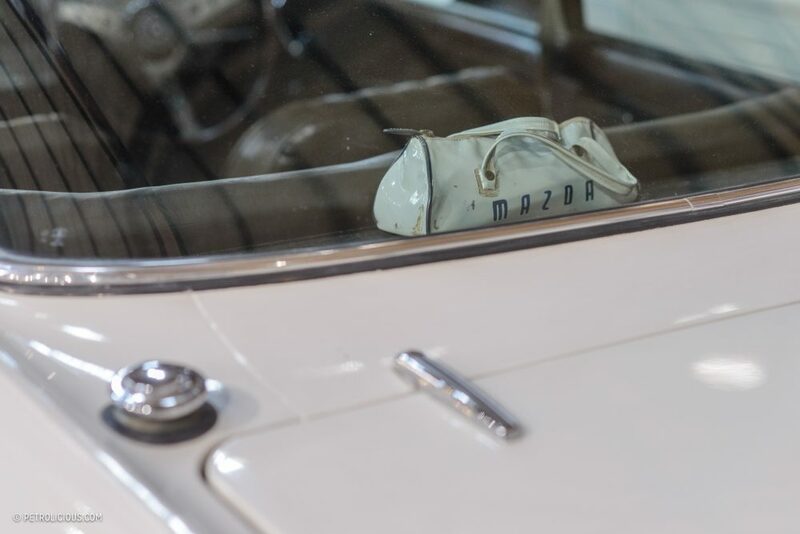 With the less exotic RX-4 and RX-5, models Mazda aimed at the higher levels of comfort instead of performance, with these models positioned as “personal luxury cars.” With the -4 and -5, Mazda was the first automaker to fulfill both the strict environmental regulations of Japan and the USA. Japanese customers loved the RX-5, though at the same time it sold poorly in Europe, while the RX-4, without serious competition, found most of its customers on the old continent as well. 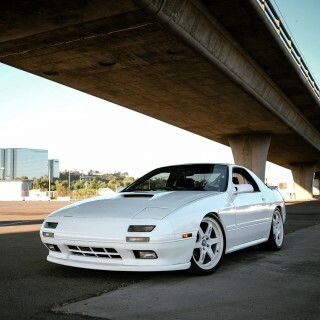 And the real hit, the RX-7, first appeared in 1978 and stayed in production until 2002. From the three generations altogether, 811,634 units rolled off the line! The rotary engine sits slightly behind the front axle on the car, thus it was advertised as a front-mid-engined sports coupé. 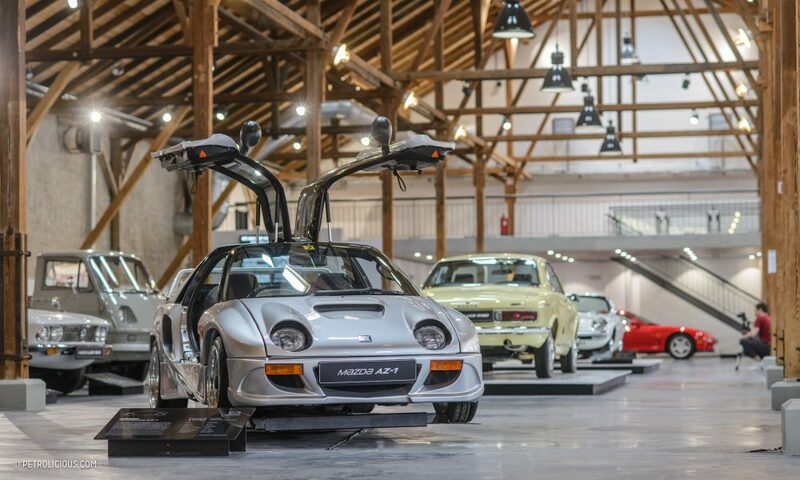 The grey, limited edition RX-7 Turbo in the museum once belonged to Felix Wankel himself, who received it from Mazda in 1984 as a gift. 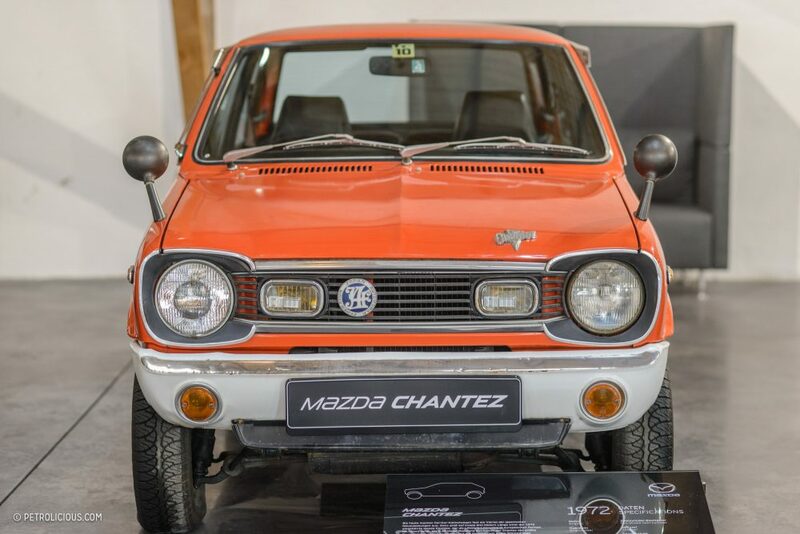 A fun fact is that Mr. Wankel had no license, which means he may not have been able to enjoy the capabilities of the 165 horsepower turbo-charged rotary engine. The Turbo was a special edition aimed at the US customers, because unlike in previous RX models, 80% of the first generation RX-7s were sold overseas. 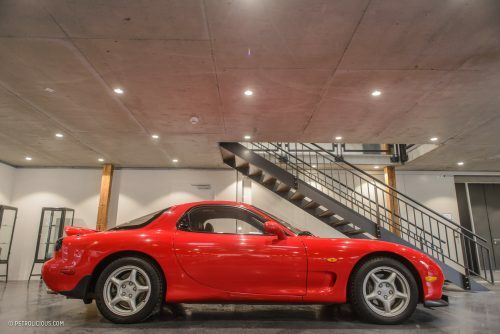 The RX-7 was succeeded by the RX-8 in 2003, but due to engine failures, high maintenance costs, and a significant amount of gas consumption, it could not even come close to the predecessors success. 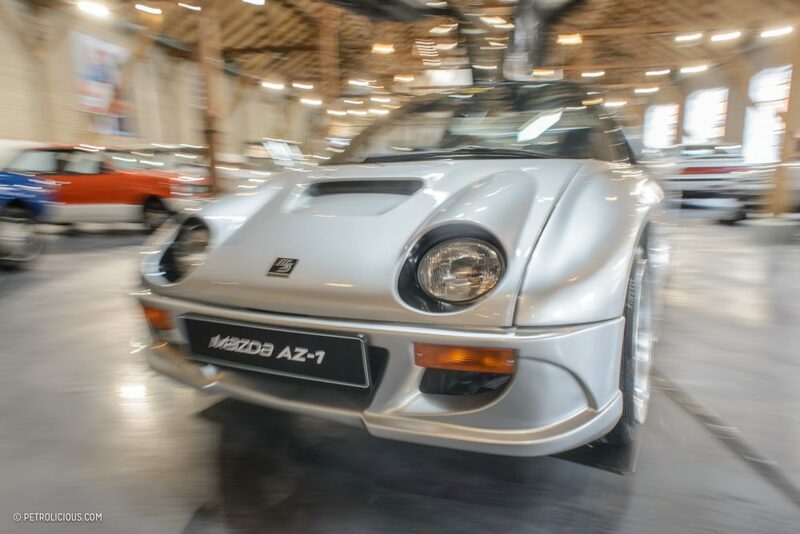 In addition to the above mentioned models there are many more interesting stories waiting for the visitors like the Burmese-manufactured Pathfinder XV-1, the Autozam AZ-1 kei car with its gullwing doors, or the most advanced three-rotor rotary Mazda of the nineties, the Eunos Cosmo. The amount of work and enthusiasm behind the scenes of this collection is especially respectable, and deserves mention; maintaining a fleet of classics, from which most of them were never imported to Europe, and for which there are very limited or outright no parts available for, is a challenging affair, and one that the Frey’s have pulled off perfectly. 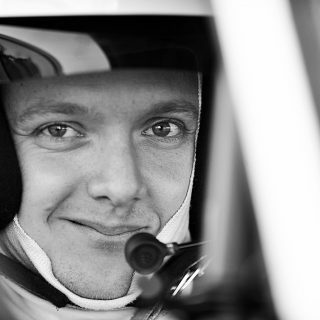 Featured "If You Have a Passion for Old Cars, We Are All the Same!"